Looking to hire a foreign national? Deason corporate immigration practices assists companies to secure work visas on behalf of key foreign national employees who are inbound to the U.S. or outbound to other global locations. Depending on the occupation and employee resume, the firm can help employers determine the most appropriate category of sponsorship and secure the green card based on a full-time offer of employment. Deason assists many U.S. citizens and permanent residents to obtain permanent residency on behalf of their parents, spouses, and children. We provide a comprehensive set of services that are aimed at helping foreign investors achieve their U.S. business objectives. 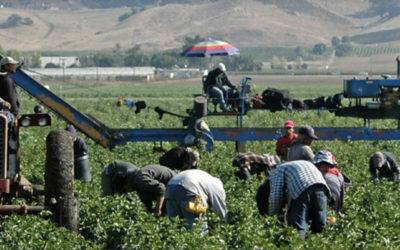 The firm represents growers, farm labor contractors, and other agricultural operations to properly employ foreign H-2A employees during the peak temporary or seasonal times of the year. The firm’s labor and employment practice is managed by Dax Deason, an attorney recognized as Board Certified in Labor and Employment Law by the Texas Board of Legal Specialization. Deportation is a frequent and real possibility for immigrants living in the United States. At Deason, we understand that the detention of a family member is a difficult time that requires prompt attention and aggressive advocacy. Deferred action is a use of prosecutorial discretion to defer removal action against an individual for a certain period of time. The attorneys and paralegals at Deason have been working with DACA clients since 2012 and know the issues that are important. Deason Law, P.C. (“Deason” or “Firm”) is a Houston-based law firm that represents businesses and individuals nationwide with their immigration, employment, and litigation matters. Deason attorneys and paralegals provide legal representation to a wide variety of clients, which include privately held companies, publicly traded corporations, universities, foreign investors, individuals and foreign nationals who immigrate from all over the world. The firm’s immigration and employment law departments are managed by Dax Deason, an attorney who holds dual specialization in the fields of immigration and employment law from the Texas Board of Legal Specialization. Looking to hire a foreign national? The Deason corporate immigration practice assists companies to secure work visas on behalf of key foreign national employees who are inbound to the U.S. or outbound to other global locations. Many corporate clients contact Deason for guidance in establishing permanent residency for their key employees. The Firm has an excellent track record of obtaining permanent residency for our clients’ employees under various immigration categories, which have included multinational managers, executives, religious workers, engineers, managers, food scientists, physical therapists, agricultural workers and many other occupations. 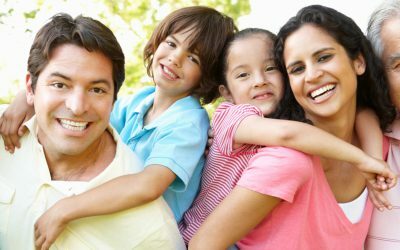 Deason assists many U.S. citizens and permanent residents to obtain permanent residency on behalf of their parents, spouses, and children. We also handle fiancee visas and prepare very detailed waiver applications when necessary to help clients seek government forgiveness of past immigration and criminal law violations. For those seeking to invest capital in the U.S. market, Deason’s expertise in immigration and employment law provides foreign investors with the perfect suite of services when evaluating potential U.S. business plans. We conduct due diligence, help clients to launch or acquire new companies, review business plans and prepare required E visa applications. Deason’s investor practice also provides representation to clients who are seeking permanent residency under the more complex investment solution of the EB-5 program. Numerous labor-intensive industries are experiencing difficulties in finding qualified employees to support their businesses. Deason’s H-2 foreign worker visa practice can help your company navigate the complex hiring process of sponsoring foreign labor under the H-2A and H-2B visa programs. Deason serves corporate and multinational corporate clients with their employment law matters. 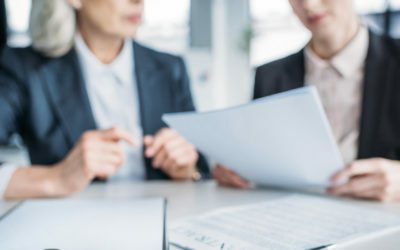 We provide a full range of labor and employment services, which include litigating employees claims before administrative agencies or the courts, providing compliance advice, drafting employment contracts, training and policy development, and representation during government audits. Many immigrants are apprehended and deported by immigration officials each year. For those individuals with valid claims to stay, Deason provides deportation and bond services. Based on a new information-sharing partnership between U.S. Citizenship and Immigration Services (USCIS) and the Social Security Administration (SSA), foreign nationals in certain categories or classifications can now apply for work authorization and a social security number using a single form. U.S. Citizenship and Immigration Services (USCIS) has posted additional data about the agency’s employment-based visa programs. This new information reflects USCIS’ commitment to transparency in carrying out President Trump’s Buy American and Hire American Executive Order.